All BRIDGES EAST PARCEL 3-6 homes currently listed for sale in Gilbert as of 04/19/2019 are shown below. You can change the search criteria at any time by pressing the 'Change Search' button below. "FREE 1 YR HOME WARRANTY.Welcome Home! 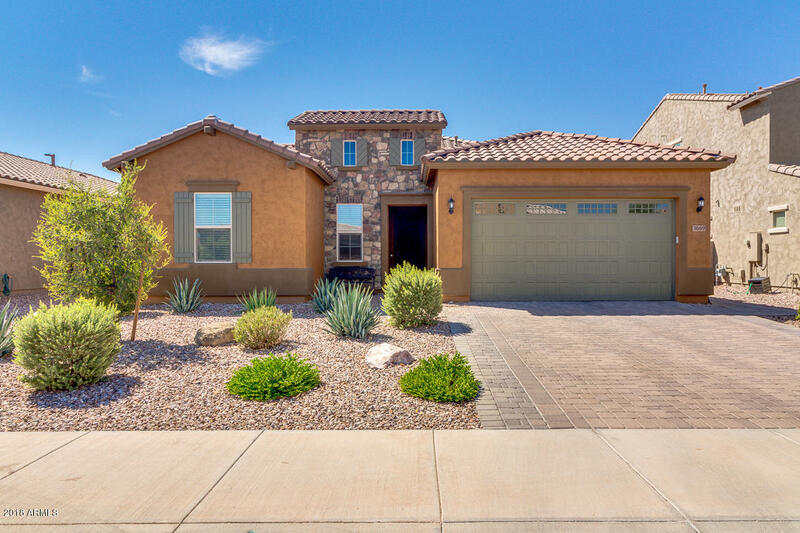 3 bedrooms, a BONUS room and den, 2.5 bath, 2488 sqft with a beautiful rounded entry way, boasts a spacious kitchen with stainless steel appliances, Samsung refrigerator included, gas stove, granite counter tops, kitchen island, huge pantry. Warm open concept living/great room, wired with surround sound with plenty of room for everyone to enjoy. Gorgeous tile and carpet in all the right areas, Spacious split master bedroom gives you privacy from the other "